I connected the FTDI cable to my laptop and it immediately recognized the GPS as COM11. I set my terminal emulator for 9600 baud and it came right up! There is a tiny green LED on the GPS board (at least the version I have). When it flashes green, it has locked onto the satellites. I followed their instructions to install the library into the Arduino IDE. 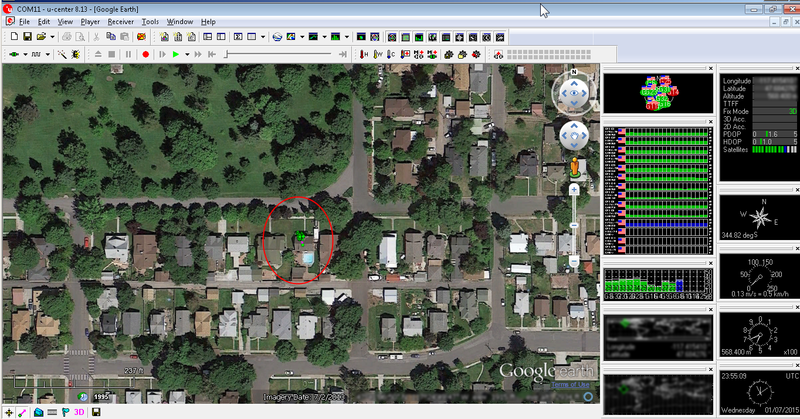 I then compiled and ran BasicExample from the GPS examples. This code doesn’t actually interface with the GPS. Instead, it really just let’s you know the GPS software library is working OK. No issues were found with this. Next, I opened the kitcheSink example. This example wants to connect to the GPS with pin 3 of the arduino connected to the RX pin of the GPS and pin 4 of the Arduino connected to the TX pin of the GPS. You HAVE to verify the baud rate for the GPS. The software is setup to use 4800 and, at least for me, the default is 9600. I perused the TinyGPSPlus library and using it is very straight forward. Connecting a GPS to your Arduino and extracting location, date, time, speed, etc. is very simple! This entry was posted in c-arduino and tagged gps, gps arduino. Bookmark the permalink. Software serial is too slow, are there alternatives? With a normal arduino Uno, the only other choice I know is to use the UART pins of 0 and 1, but then you can’t use normal USB debugging (e.g. Serial.print). With an Arduino Mega, you could use pins 14,15; 16,17; or 18,19. They are supported by hardware and should go faster. Hi, May i know that i must use FTDI cable? if i didnt use, it cant work? You only need the FTDI cable to connect the GPS to your PC! yup, i have try it with FTDI..it is work….but where should i put my arduino? My only other suggestion is to make sure the baud rate is correct. If I recall, mine ran at 9600, but from what I recall there is no guarantee that is how it will be set. You may need to use the FTDI cable, connect to a PC, and then determine the baud rate. I just get my u-blox NEO-6M GPS and only the date and the time are running (I have the good values for the time but not for the date). The speed, location, altitude, …. are not working. Any idea why it’s not working ? I would say are you sure you have the right baud rate if EVERYTHING were wrong, but if the date and time are correct, that isn’t the case. 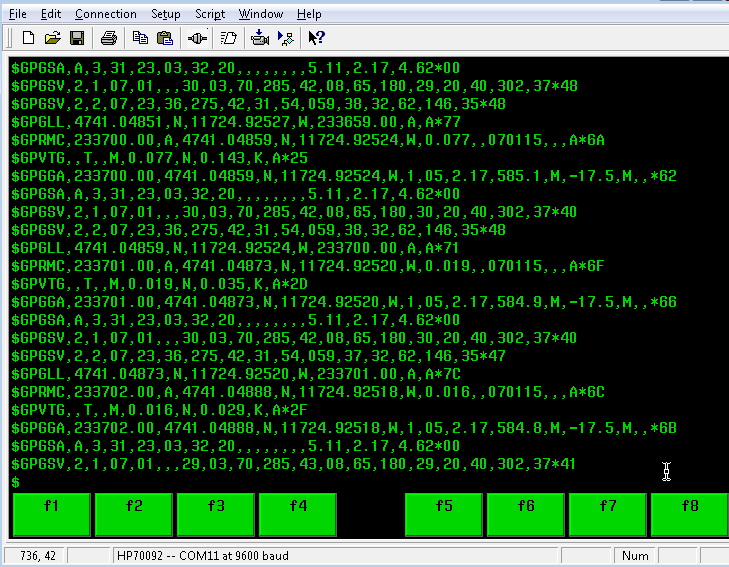 One possibility is the GSM data is coming in to the arduino too fast and getting corrupted. I believe when I was experimenting with the GSM, I slowed the baud rate down. I’m sure I didn’t let it operate faster than 9600 baud. The only other suggestion I can make is make sure you have a clear view of the sky – take it outside to be sure. Also make sure the antenna is properly attached. Good luck, and when you find the problem let us know! This is a big ask but… I think I’ve wrong-configured something in my gy-neo6m, is there any way you can send me the complete config? u-center -> tools -> configuration -> to file ? Sorry, this is long since disassembled and sitting in boxes. Thanks! Hopefully the crazy ex-girlfriend hasn’t put it together ! The module is working with a Arduino Uno with the rx on 3 and tx on 4. But does not work on an Arduino Mega with the same setup. Please help! 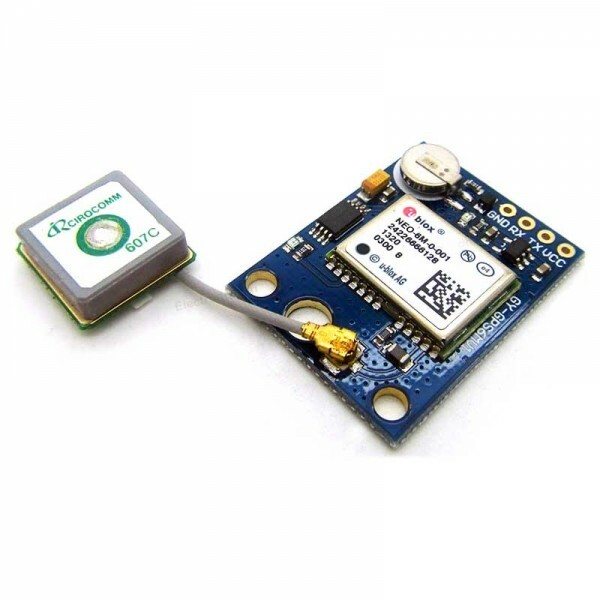 hello sir.. i am about to buy the ublox neo 6m gps, but then im goint ot ask you how sensitive this module to get the data from the satellite.. all i need is longitude and latitude ..
Outside it works great. Inside, not so good, at least with the little antenna that came with mine. If you want it to work inside, you may need to come up with a better antenna solution. You can probably find something suitable on ebay. how can i connect this to a car?